How Can We Avoid Mercury in Seafood? Home - How To Avoid Mercury In Seafood? Many of us heard about the problem of contaminated fish, and the issue of found mercury in seafood in particular. Mercury is a powerful neurotoxin, harmful to the developing brains of fetuses, babies, and young children, as well as adults. Functional medicine and environmental medicine views mercury and other toxic metals as one of the major risk factors in the development of chronic medical illnesses such as autoimmune diseases, cardiovascular diseases, and even cancer. However, we also have heard about valuable, essential Omega 3 fatty acids that carry so many benefits and we know that the easiest way to get Omega 3s into our body is by eating seafood. So how much fish to eat and what kind of fish? The group at highest risk of mercury exposure are pregnant women. Federal agencies (FDA and EPA ) advise women who are pregnant, nursing or planning to become pregnant to eat much more seafood, an excellent source of the omega-3 fatty acids essential to babies’ development. They say these women should eat 8- 12 ounces of fish and shellfish a week – more than twice as much as the average American. Now, a new EWG study finds that federal government’s recommendations on seafood and mercury may be risky, potentially leading women to eat too much of the wrong kind of fish. Nationwide testing found that mothers who eat the quantity of seafood recommended by the FDA and EPA, are at risk of exposing their babies to harmful doses of mercury while not providing them with enough healthy omega-3s. EWG recruited 254 women of childbearing age from 40 states who reported eating as much or slightly more fish than the government recommends. A university lab tested samples of their hair, where mercury accumulates, which reflects the level of mercury in the body as the hair grew. Nearly three in 10 of the women had more mercury in their bodies than the EPA considers safe – a level many experts say is much too high for pregnant women. Almost 60 percent of participants had more mercury than a stricter limit recommended by experts, who analyzed hair samples for EWG’s study, and scientists from two prestigious European institutions. The frequent seafood eaters had an average of 11 times more mercury compared to a group who rarely ate seafood, proving that the high mercury levels came from the fish rather than other sources. To limit mercury consumption, FDA and EPA recommend that women eat no more than six ounces a week of canned albacore tuna and no shark, swordfish, tilefish or king mackerel. But the study of Environmental Working Group (EWG), independent environmental agency, suggests that many women who follow that advice will not get enough omega-3s in their diet, yet, have exposure to mercury. To eat or not to eat seafood? Researchers overwhelmingly recommend low mercury fish as the most reliable source of omega-3s. The mercury in seafood erodes the benefits of an otherwise healthy food, and in some cases tips the scale to the point that the fish becomes harmful. It is all about WHAT FISH YOU CHOOSE TO EAT. 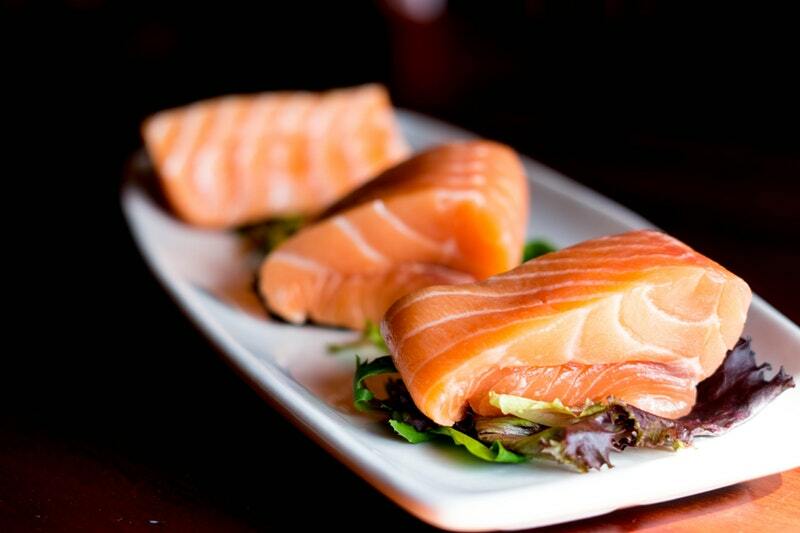 EWG reports the full list of low mercury-high omega-3 fish, such as wild salmon, that women should add to their diets. It also lists the additional species they should limit or avoid for up to a year before conception, such as seabass, halibut and marlin. EWG’s Good Seafood Guide provides a guideline for consumers looking to reduce their intake of mercury consumption and increase intake of omega-3 fats. The EWG Seafood Calculator estimates portion size and frequency based on a child or adult’s weight and recommends that pregnant women and children ingest 25 percent less mercury than the current EPA guideline.